Our Studio and showroom are available to visit. 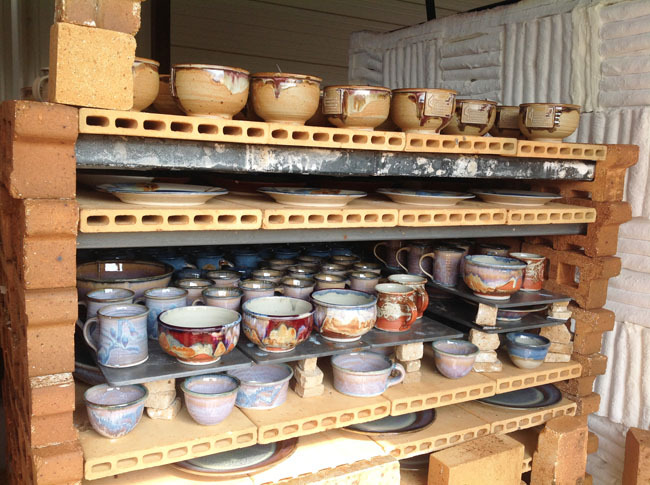 The kiln opened after the firing. Rob began making pottery full time in 1975. That's right 40 years ago. At that time he loved the feel of the clay running through his fingers as he made pieces on the wheel, the surprises that confronted him when he opened the kiln at the end of each firing cycle and seeing people enjoy using his work day in and day out. That is what inspired him then and it is what inspires him now. He believes more than ever that people need something of beauty made by another human being in their lives.